Learn how to sanitize paper rolls for crafts with this easy tutorial! Both toilet paper and paper towel rolls are very popular for crafts. They’re virtually free, and who doesn’t want free crafting supplies? However, I’ve noticed a lot of concern about the safety of using paper rolls for crafts, especially toilet paper rolls. I’ve seen people suggest spraying tubes down with Lysol or setting them in the window to catch some rays, but there’s a better way that hardly receives any attention. 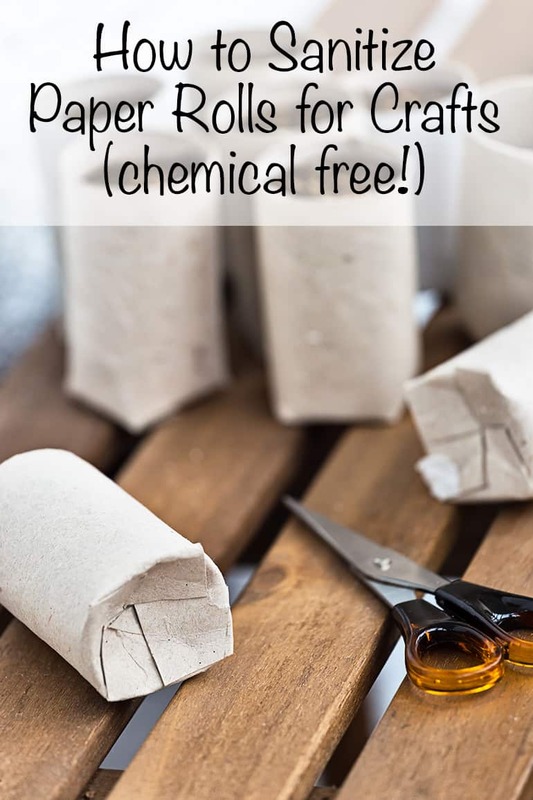 That’s why today I’m sharing how to sanitize paper rolls for crafts without chemicals. You don’t need any sprays and there’s no sunlight involved, plus it’s sure to kill off any lingering nasties! Are toilet paper rolls safe for crafts? Anecdotally, I’ve heard that a lot of schools have banned bringing in toilet paper rolls for crafts due to safety concerns. The logic is that bathrooms are pretty germy places and toilet paper hangs out right next to the toilet, the source of most bathroom viruses and bacteria. Research shows that flushing the toilet with the lid open sends a plume of aerosolized contaminants into the air. These contaminants then settle on bathroom surfaces, increasing the risk of disease transmission. (source) Yikes! Good thing we’re fantastic about shutting the toilet lid at our house. This means that toilet paper rolls could be unsafe for crafts. Do plenty of people use them for crafts? Absolutely, but there is the potential for risk. Although nothing is producing a “plume” in your kitchen the same way a toilet does, kitchen sinks are also notoriously filthy. Kitchen sponges are the worst offenders of all. The only thing with a higher bacteria concentration than a used sponge is poop! (source) That makes even paper towel rolls, especially if stored near the sink, seem a bit unsafe for crafts, too. 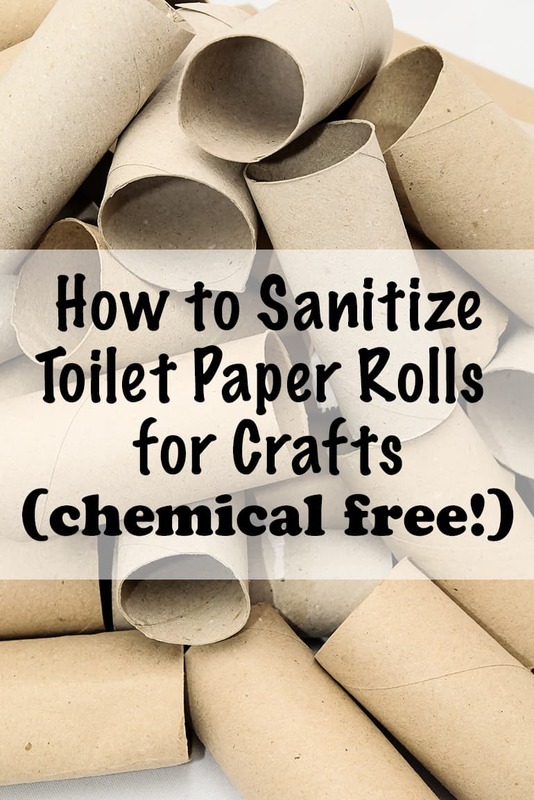 So how do you sanitize toilet paper rolls for crafts? People frequently recommend spraying the rolls down with Lysol or a homemade solution including vinegar, bleach, or essential oils. Yes, bleach does kill viruses and bacteria, however it works best on hard, non-porous surfaces. Does that sound like a toilet paper roll to you? You may successfully kill some surface nasties, but if you’re concerned enough to want to sanitize the roll, wouldn’t you prefer to know everything has been killed off? By the same token, the UV in sunlight absolutely can kill bacteria, but it can only kill surface bacteria that’s exposed to sunlight. 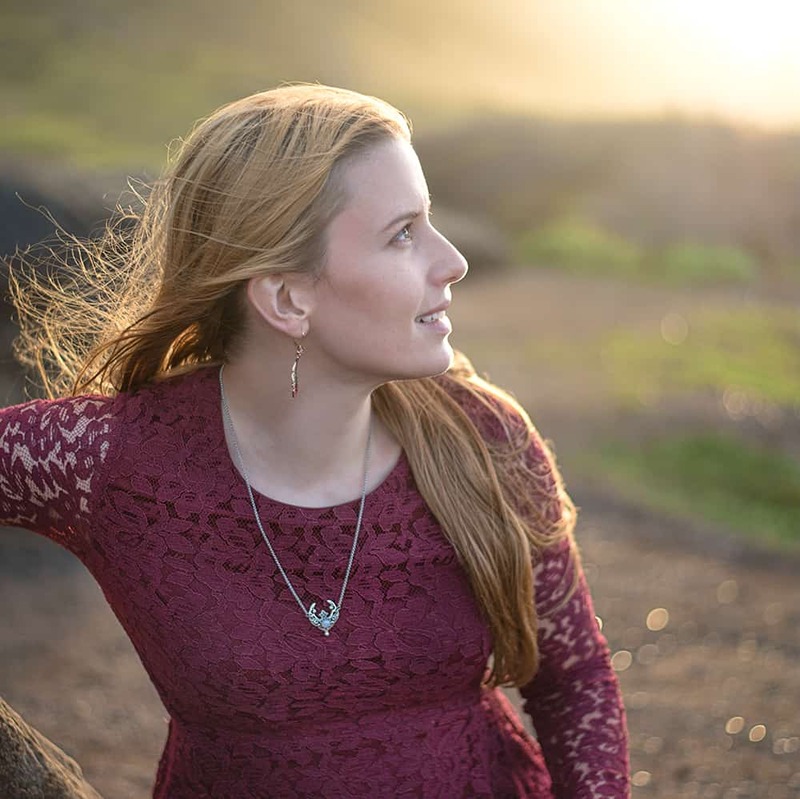 Although many glasses do allow a significant amount of UVA radiation in, special coatings and films can reduce the amount of UVA coming through the glass. This is a pretty good thing for your skin! We put removable UV blocking film on our living room picture window to help protect ourselves and our furniture and that’s great, but it can reduce the sun’s sanitizing power. So if spraying and sunlight may not really sanitize paper rolls, what can? The idea occurred to me while I was baking some polymer clay on a piece of paper. Sculpey Premo, the clay I use most often, bakes at 275ºF and the paper comes out fine. E. coli and salmonella die at 160ºF (source). Staph and MRSA are killed by slightly lower temperatures. All you need to do to sanitize paper rolls for crafts is bake them. Most ovens have a minimum temperature between 170º and 200º, so the lowest setting on your oven will kill the most common kitchen and bathroom contaminants! Simply pre-heat your oven to its lowest setting (as long it’s above 160ºF! ), position an oven rack to half way down the oven or lower, and pop the rolls in! To be extra safe, bake them for 20 minutes to ensure the cardboard has the opportunity to heat all the way though. You can also use this technique to sanitize cardboard egg cartons for crafts. I have never had a piece of paper or cardboard catch on fire in the oven, but to be safe please keep all paper tubes away from the heating element and don’t leave your oven unattended. Unused paper tubes for crafts. These come in a variety of lengths and in natural kraft color or white. Thicker and stronger than standard rolls! 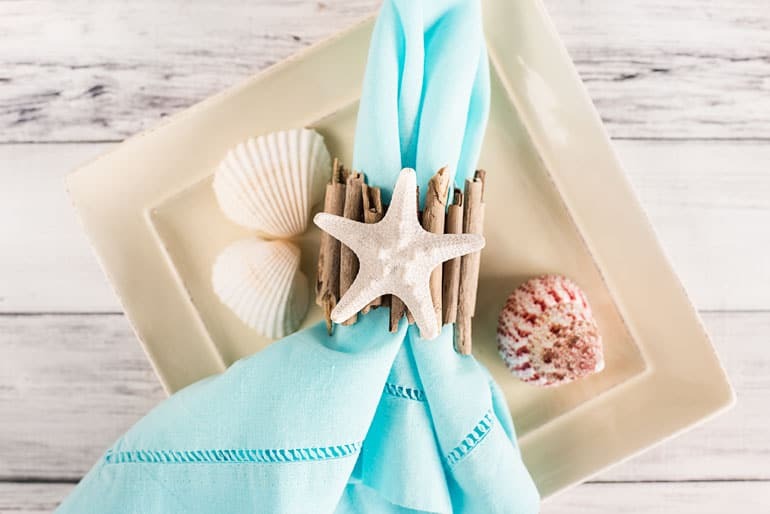 Now that you know how to sanitize paper rolls for crafts, you can make projects like these driftwood napkin rings without worrying about bathroom or kitchen bacteria! 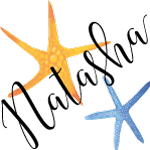 Or this super cute hula girl and mermaid on MollyMoo. What will you make with recycled paper rolls now that you can confidently kill off the most common bathroom and kitchen bacteria? I always let my kids to make different items using used up toilet paper roll. But never thought about the sanitizing process of toilet paper roll. You opened my eyes and for that I am so much grateful to you. Thanks for the easiest tips ever for sanitize the used up paper toilet roll as well. Thanks for the great tip! I never think about bacteria on cardboard but it’s great to find such an easy tip to sanitise it! Yes, it is super easy! Thanks for stopping by!